I am on a quest to find the five best breakfast/brunch spots in the city not including the buffet joints like Sutton or Hotel Vancouver. Went to Social in Gastown for weekend brunch. No jokes here. First off, the service was amazing. The girl was really on point, pretty much could be wifey. She knew the products inside out and even spoke to the chef for our special request. 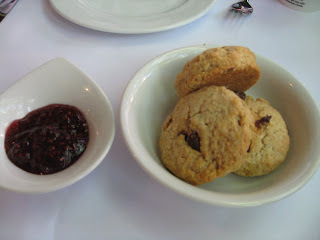 We were given cinnamon raisin biscuits with some strawberry jam as a complementary starter, and they were absolutely amazing. I ordered the eggs benedict and it was done perfectly. 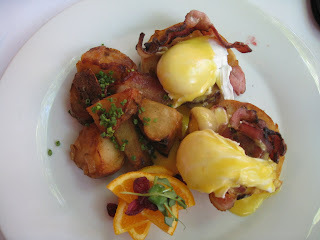 Eggs were runny enough, bacon was crispy and tasty and the potatoes were crispy and tasty (served with aolli). 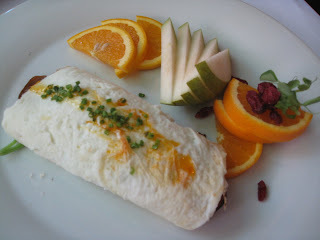 My cohort had an all egg white omelet with mushrooms, my spoonful that I was offered was a cup of amazing. I highly recommend this spot for breakfast/brunch. Hey Matt, put a search box in your blog. I think Social is on the agenda for this weekend. We live in the West End and have yet to find a breakfast place comparable to the awesome places on the east side.